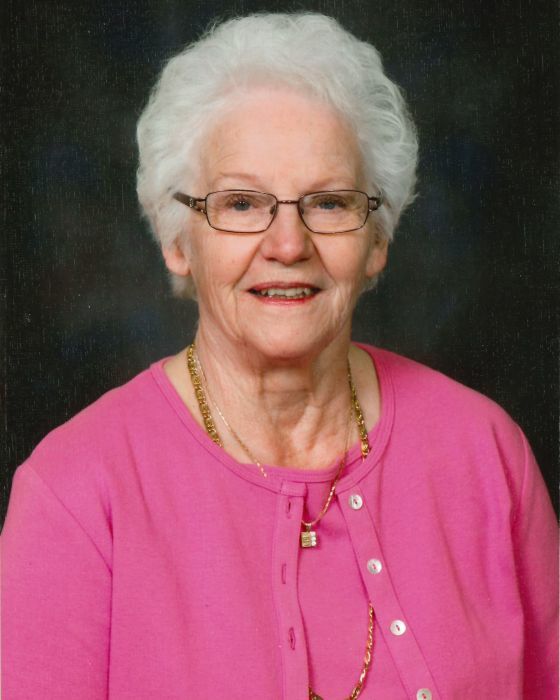 It is with great sadness that the family of Eileen Cherniak announces her passing on Monday, October 29, 2018 in Wetaskiwin at the age of 81 years. Eileen will be lovingly remembered by her children, Ken (Dana) Cherniak, Wayne (Rita) Cherniak, Gerry (Nadia) Cherniak and Joanne (Darryl) Bacon. Eileen will also be fondly remembered by her grandchildren, Neil (Narissa) Kreutz, David Cherniak, Matthew Cherniak, Karina (Travis) Cherniak, Nicholas Cherniak, Joseph Cherniak and her two great-grandchildren, Evangeline and Lucas Kreutz. Eileen has a surviving aunt, many nieces, nephews, cousins and friends, for which she will leave lasting memories with. Eileen is also survived by her siblings, a brother, Wilbert (Shirley) Kendall; a sister, Carolyn (Peter) Hammond and a brother, Chuck (Linda) Richter. Eileen was predeceased by her husband Walter; a brother, Gordon and his son, Aaron; sister, Penny Prickett and her mother, Pauline Kendall. A Visitation will be held on Thursday, November 1, 2018 at 6:00 p.m. at Baker Funeral Chapel (5302 - 50 Ave. Wetaskiwin, AB) with Prayer Service to follow at 7:00 p.m..
Mass Of Christian Burial will be held on Friday, November 2, 2018 at 2:00 p.m. from Sacred Heart Catholic Parish, (5113 - 49 Ave. Wetaskiwin, AB) with interment to follow at Wetaskiwin Memorial Cemetery. Donations if desired may be made to the Wetaskiwin Health Foundation (6910 - 47St. Wetaskiwin, Alberta. T9A-3N3).